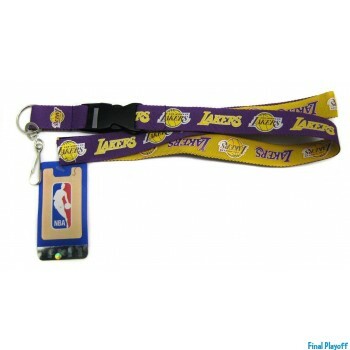 Official Los Angeles Lakers lanyards and keychains are a must have for any fan to bring in the team spirit no matter where you are. Having the right Los Angeles Lakers lanyard makes a difference whether your looking to wear it around your neck or on your wrist comfortably. Give your keys an accessory to stand out above all other keychains; some having exquisite detail and an id holder. 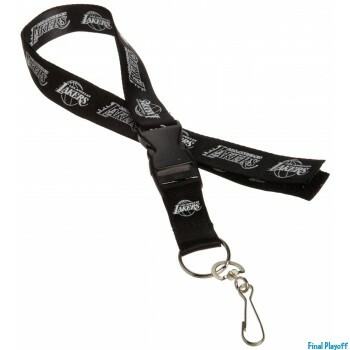 A lightweight Los Angeles Lakers key chain makes the best fashion accessory or an inexpensive gift to that special fan. All Los Angeles Lakers orders are processed and marked for shipping same business day Monday through Friday 9:00am to 6:00pm pacific time excluding holidays and weekends. Rest assured knowing that your sports team merchandise is packed and shipped in house for an error free delivery. Check out other fabulous items in our catalog and bookmark our site for a future return on updated new arrivals.